1 Skip Stage To skip to the next stage, pause the game and press B, A, Down, B, A, Down, Left, Up, C.
original game inspired by the hit Warner animated series. 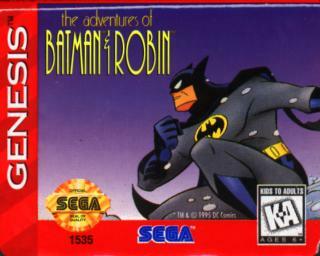 Batman game for the Genesis that you will ever need. music that was used in the original animated series. The Scribe hits dead on with this one. 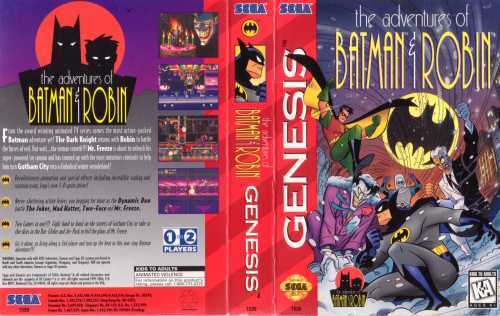 I actually like both the first Batman and the Adventures of for the Genesis. Those are really the only two you need. 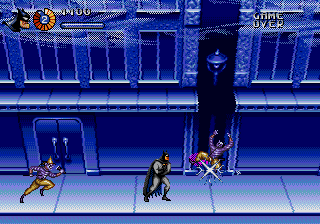 Only major complaints I see with Adventures of Batman and Robin for the Genesis is that is gets on the really insanely difficult side with enemies popping out from all places. I also think the controls are a bit laggy. Overall though highly addictive! 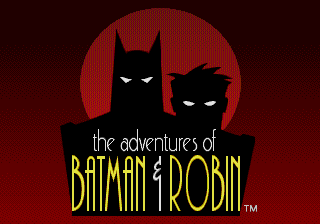 As much as I hate to say it, this one even outdoes Batman for the NES. This is a surprisingly decent sidescrolling beat 'em up. Featuring graphics faithful to the series the game is based upon, the game is just plain enjoyable. There's nothing here that hasn't been done before, but it's a nice fare nonetheless. I kinda hate the graphics.. and the show..